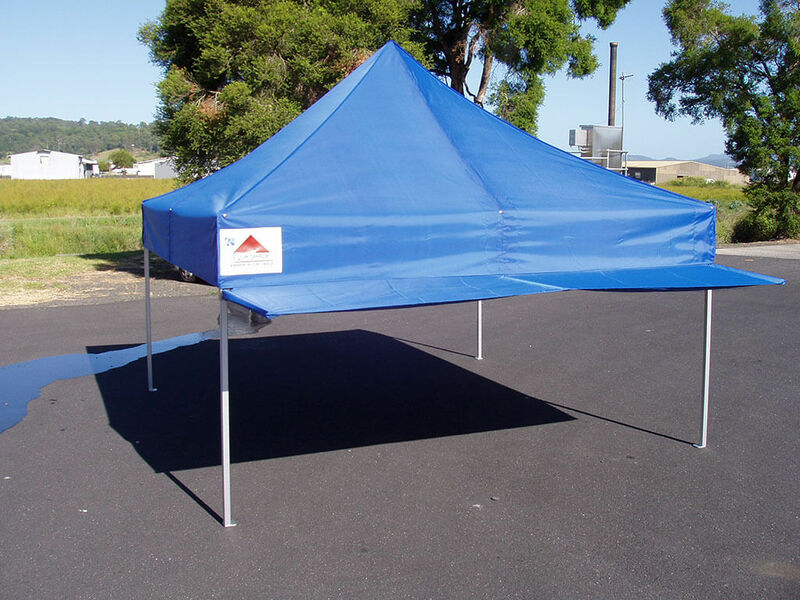 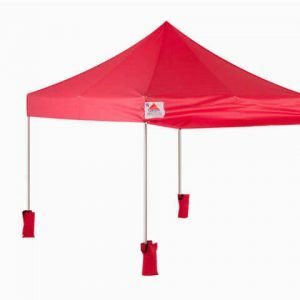 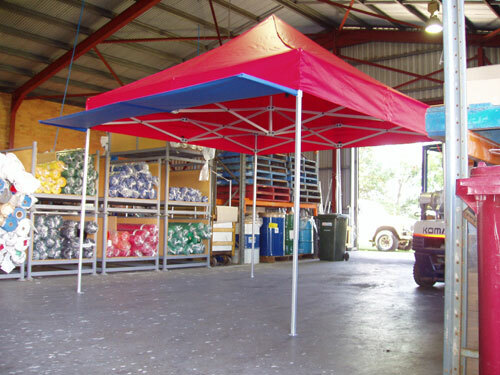 Awnings are suitable for all sizes of QuikShade, except the 1.5m x 1.5m, 1.8m x 1.8m and the 2.1m Trauma Tent. 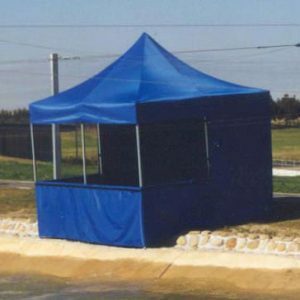 They are designed to add a shaded area outside the QuikShade. 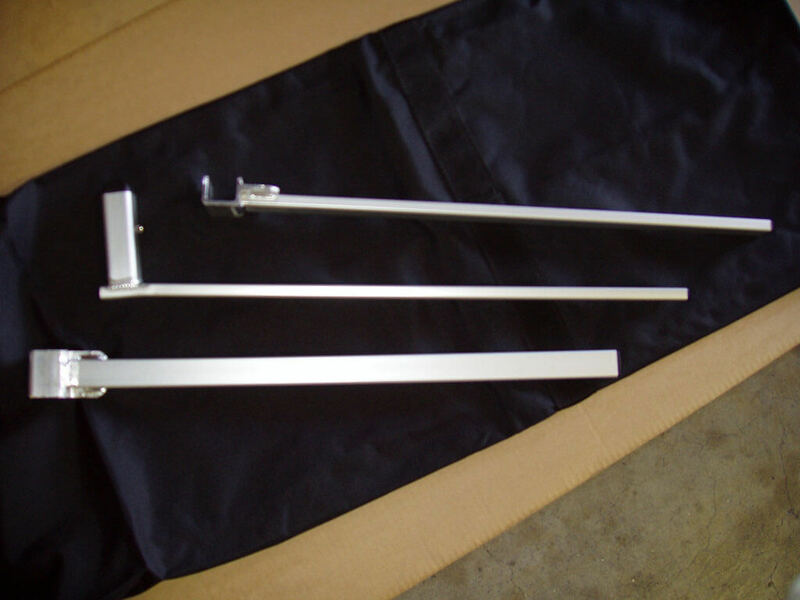 The middle arm – the L shaped one is inserted into the middle pocket on the fabric and attaches to the frame as shown below. 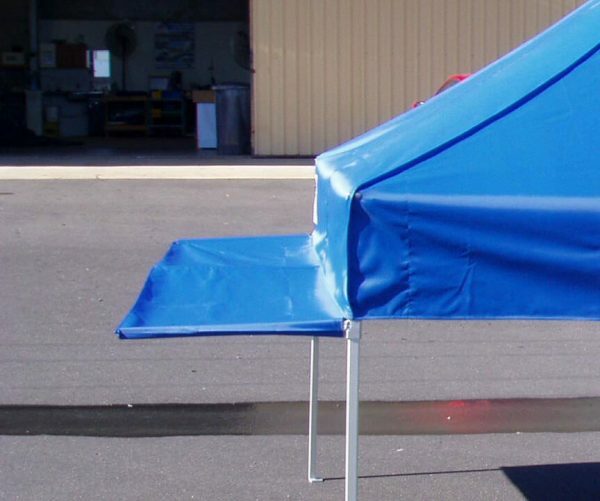 Please notice it does slope slightly downwards – this is to reduce pooling of water should it rain. 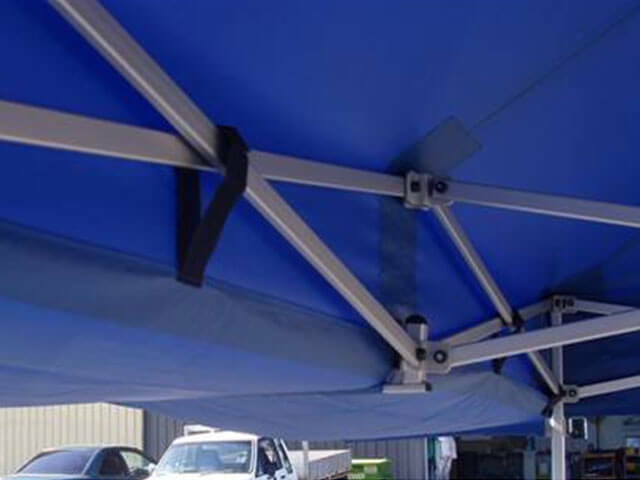 Similarly, the Left and Right brackets should be installed so that there is a slight downward slope – they attach around the OUTSIDE of the corner posts, (below the Sliding 2 –Lug bracket on the corner post) and are held in place by tension and friction. 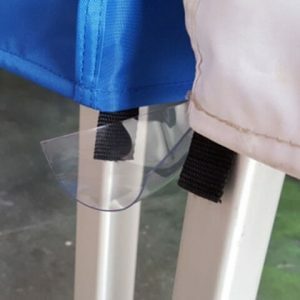 The Velcro straps are used to pull the awning fabric into place behind the skirt so any rain will run off the cover and then on to the awning rather than between the awning and the skirt. 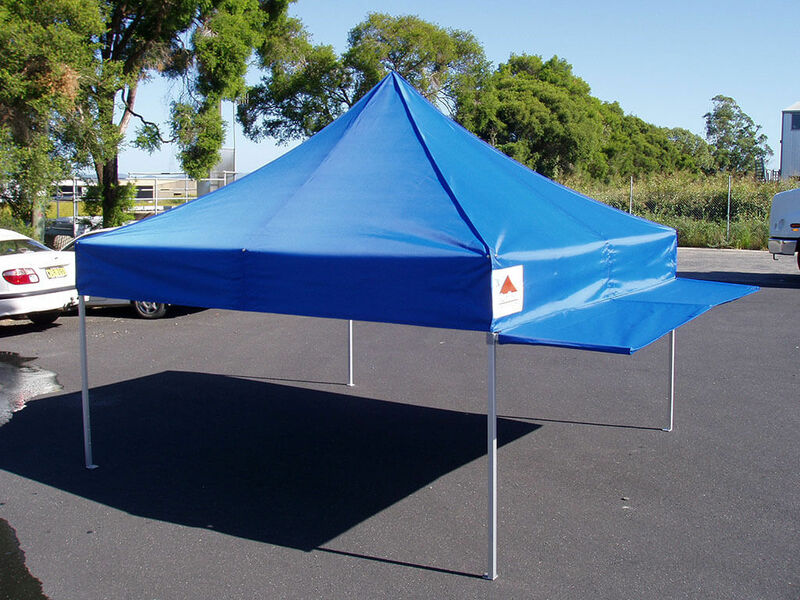 Inside of QuikShade with Awning fitted.